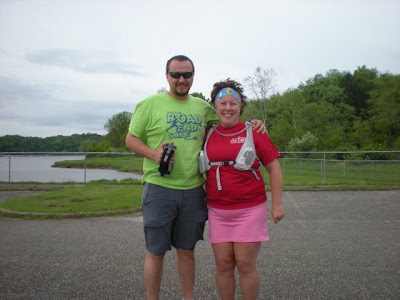 Yesterday I met up with my running buddy, Kim at Salt Fork State Park for a trail run. We had a blast and only got turned around once. The agenda was to go out and do 18 miles then come home and relax. The day didn't quite unfold that way though. We ended the run with a nice, slow paced 14 miler and great trail fun instead. Kim posted an entry about the run as well, so be sure to check it out. I left the house at 6:15 am to meet up with Kim by 7am. As it turned out, the 40+ mile drive turned out to be a little over an hour and I was fashionably late. I made sure everything was ready by the time I got there (watch on, gel packs in pockets, sweat rag, etc..). That way I could just hop out and take off when the car was parked. As it turned out, Kim didn’t care, she was still getting ready anyway. It was pretty windy and a little chilly starting off, but once we got moving it was absolutely perfect weather for running. About 1 mile into the trail, Kim stated that she left her Garmin on the car. She is so laid back; I would have spazzed out and sprinted back to the car in fear that someone would have taken it. She impressed me with her “eh… so what” attitude. :) She set it on her hood to let the GPS sync with the satellites and then when we took off, she forgot it. Luckily we had my Garmin so we could keep track of our mileage and time. The first section was all bridle trails and there was a lot of mud. The feet got wet immediately and it was a lot of slow stepping through this section. It was a great way to start a long run (slow and muddy). Love it! After the bridle trails we made our way to the hiking trails. The ground was a bit more firm through here and it was mostly running through the woods. Salt Fork trails are absolutely beautiful. We ran through some nice hilly areas and it was picture perfect scenery every way we looked. The best part was when we ran beside the lake. I had no idea Salt Fork Lake was that big. It helped that the skiers and speed boats weren’t out yet, as it really added to the vibe having a calm lake that early in the morning. As we were making our way through the trails, we kept coming up on the “purple loop” which led us both to believe that there is a main jugular trail that goes through all of the little side trails. That’s a pretty cool feature if you ask me. It would allow us to eliminate all the road running and just stay in the woods. Maybe next time we could test that theory. Having great company to run with helps the miles go by so fast. Before I knew it, I was running late back to my house to spend time with the girls. On my way out of the park, I pulled off 5 ticks! 2 were attached and 3 were working their way up my leg. My skin felt like it was crawling all the way back home, but when I got home and in the shower, there were no more. Great run. Great report. 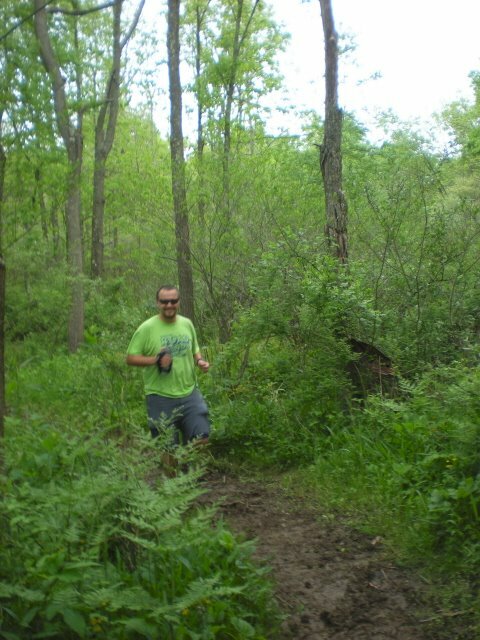 I was doing a run in Hocking Hills once and heard animal grunts that had to be Bigfoot. I recognized the sounds from that old Leonard Nemoy show!!! 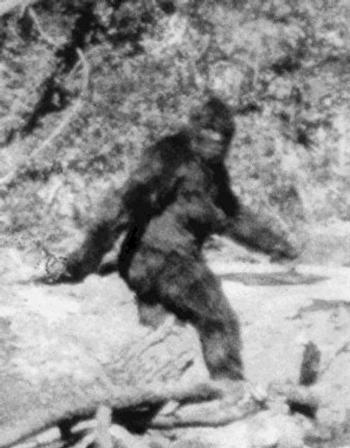 !I predict that If anyone is going to finally prove Bigfoots existence it will be an ultrarunner.